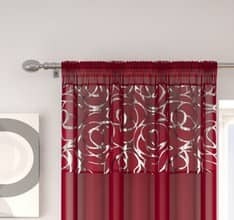 Madison is a contemprorary design featuring splashes of horizontal colour. 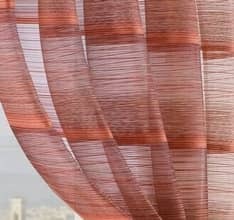 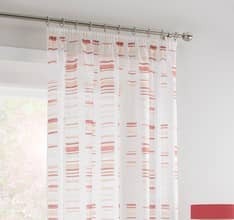 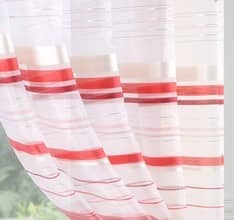 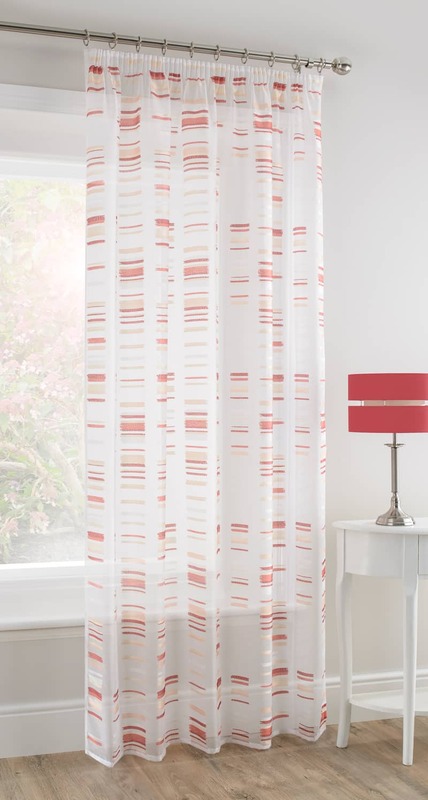 The voile panel is a perfect way to add colour to your interior whithout dominating the scheme. 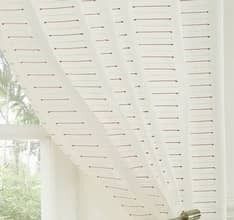 The net pleat heading tape has nylon loops across the width to enable you to hang from a rod or wire or to use hooks.